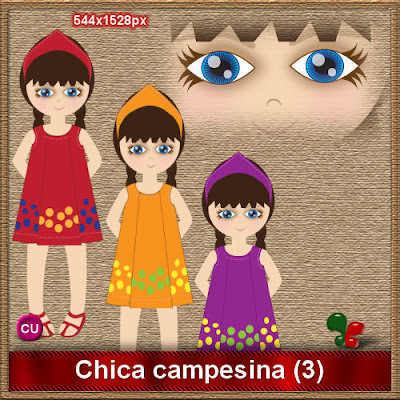 Tres bellas imágenes de una chica campesina en formato png, tamaño 544x1528, gráfico de alta calidad 300 dpi, disfrútalo bajándolo pinchando sobre la imagen. Three images of a beautiful peasant girl in png format, size 544x1528, high-quality graphic 300 dpi, enjoy downloading it by clicking on the image. Son muy lindas. Muchas gracias. There is an error on the preview where we can see "CU" but in the package, it's only a PU TOU.